The background is black. 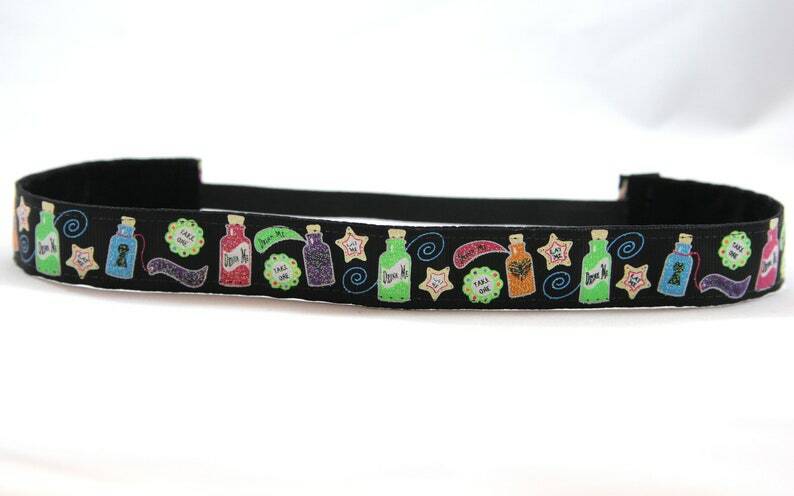 It features a fun, glittery print of small bottles with tags that say "drink me." The velvet lining is black.